Vogalonga – Venezia - Together, We Make Memories! Since it’s inception, La Serenissima and it’s denizens have had a love affair – with the sea. As one of the greatest maritime powers of the Mediterranean, Venice grew rich controlling trade routes from Gibraltar to Jerusalem, and the Black Sea to the Balearic Islands. 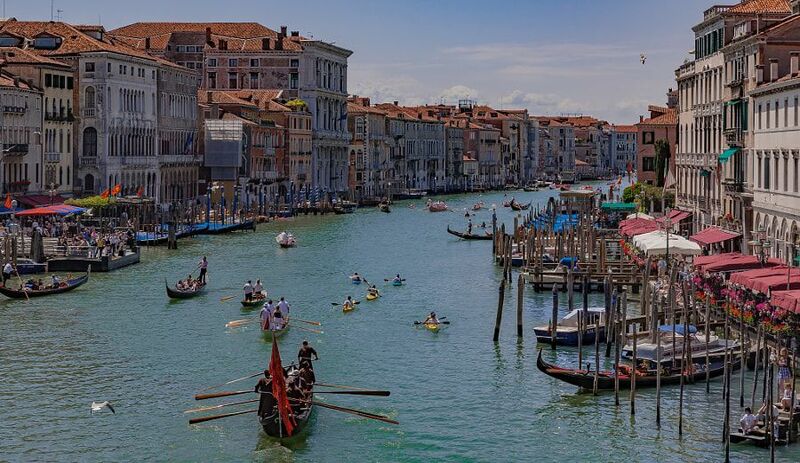 The city celebrates its maritime heritage each year with a 30km rowing race around the Venetian lagoon that draws thousand of entrants from all over the world, and includes every type of vessel from single place kayaks to Chinese dragon boats with dozens of rowers. This fine art image by Pat Kofahl is available in multiple sizes on paper, canvas, metal and plexiglass. Prices start at $49.00!